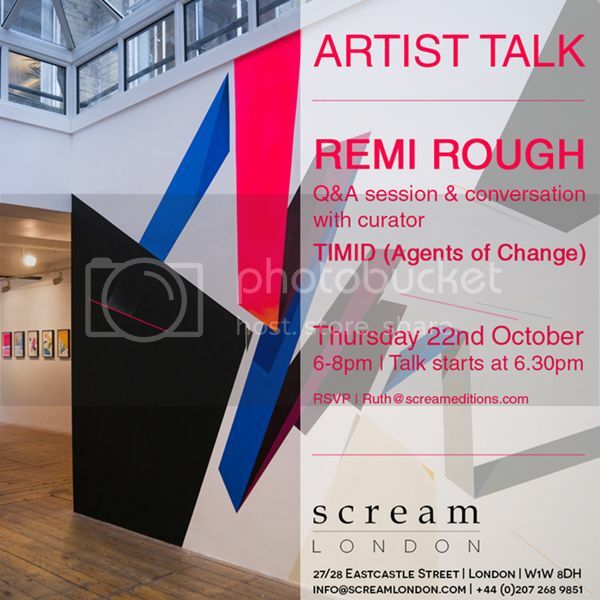 If you missed the Remi Rough show opening there’s an exhibition Q&A next Thursday 22nd from 6pm – 8pm. Introduced by fellow artist and producer for Agents Of Change, TIMID who will be directing questions and discussion about HOME, the development of my abstract painting and influences past and present. Please RSVP to ruth@screameditions.com if you are planning to attend as space will be limited.